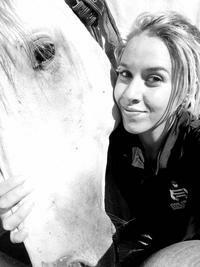 Brooke has been riding since she was a young girl and comes from a well know NZ racing family. She has a bubbly disposition and is a pleasure to have about the stables with a genuine love for horses. Brooke rides work in the morning and helps on the ground when needed as well as straps on raceday. Kristelle looks after the owners accounts and assists Barry with all owner communications she can be contacted on 0426 958 921.